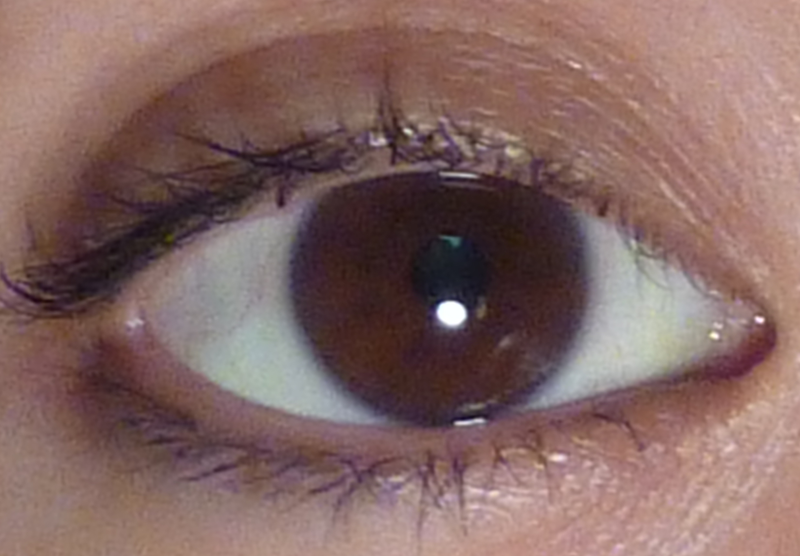 Do you feel LESS CONFIDENT because of your eye appearance? Has your self-esteem been reduced because of your eyes? 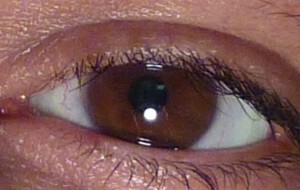 Do notice yellow or brown thickening on the clear part of your eyes? Are you troubled by the way of your eyes look? 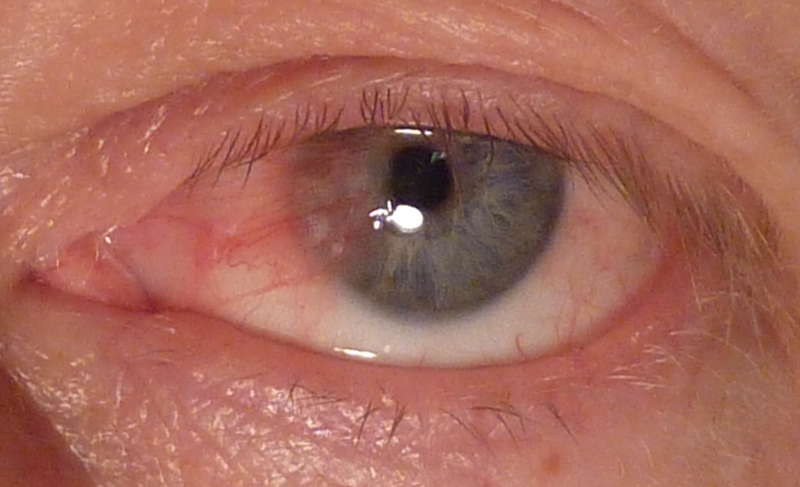 Does wind, dry and/or dusty conditions make your eyes red and irritated? Do you feel tied to “get the red out” dropsespecially for social situations? Do you avoid direct eye contact with others? Are you uneasy or insecure around other people due to your eye appearance? Have you been told by many eye doctors that there is no cure? If you answered YES to any of the above questions, the WhiterEyes™ Conjunctivoplasty procedure may be a great option for you. This procedure is REAL and can put a stop to the misery you experience due to the way your eyes look. This procedure can help you reduce the lumps or growths over the inner whites of the eyes and you will also appreciate an enhancement in the whiteness of your eyes. Thousands of patients have already experienced relief with the WhiterEyes™ Conjunctivoplasty procedure, patients who used to be plagued by your same concerns. » Learn if WhiterEyes™ Conjunctivoplasty for pinguecula removal is the best option for you, simply click here to send a direct message to one of our helpful counselors to schedule a consultation or complimentary photo review via e-mail or for personalized attention call (310) 594-5209. Charles says his eyes look better than they have in 30 years. 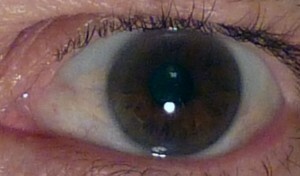 Prayers answered with WhiterEyes™, after other doctors said “live with it”. 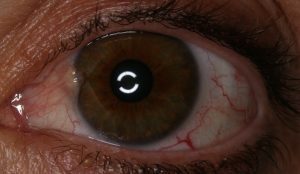 The best way to find out is to e-mail some close-up photos of your eyes to info@boxerwachler.com and request a “Photo Review for WhiterEyes™ Conjunctivoplasty for Pinguecula removal.” Dr. Brian will personally review your photos and provide an initial treatment recommendation, along with a price estimate. *Please note – final candidacy can only be determined during an exam with Dr. Brian. Many patients wonder “how did my eyes get like this.” Often the appearance of the eyes are related to environment, a combination of exposure to sunlight, pollution, dusty/dry environments, or smoke can cause the unhealthy appearance to your eyes, even though you feel 100% perfect. 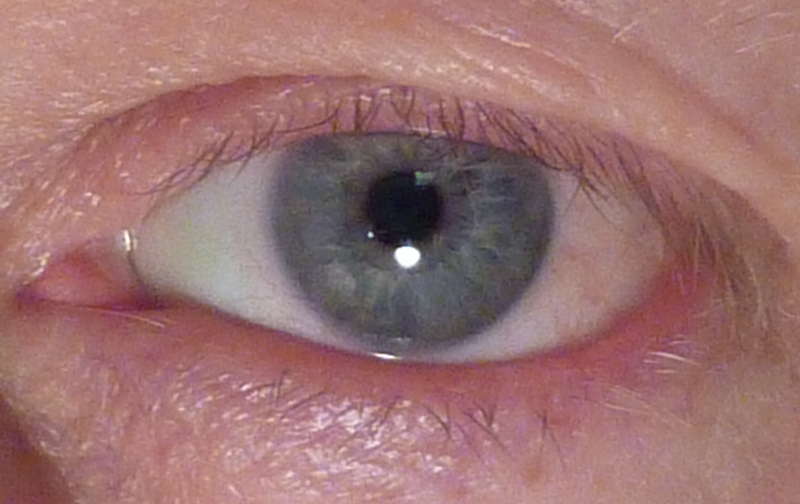 A slight yellowing growth/lump occurs from sunlight reflection on the eyes over time. Our number one recommendation is to purchase and wear at all times a good quality pair of sunglasses, even while driving. Most patients describe the procedure as easier than going to the dentist. Usually the procedure takes about 15-20 minutes per eye and it is a 100% no-stitch procedure. Most patients resume work and their daily routine within days after the procedure. 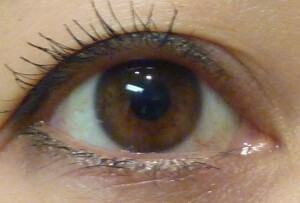 The initial whiter results begin to appear 4-6 weeks. Individual results will vary due individual healing responses. 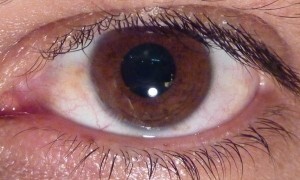 The most common question is – “what are the risks or downsides after the procedure?” Some risks are a slight scratchy sensation for a period of days, moderate irritation for a period of days, a heaviness of the eyelids for a period of days, slight increase of dryness the first year, persistent light sensitivity for a few weeks, and/or recurrence of blood vessels. Other risks, although rare, include infection or scleral thinning. Frequently we evaluated outcomes. Our recent review evaluate 1,786 WhiterEyes™ Conjunctivoplasty procedures had over 1 year ago which showed light sensitivity beyond 6 months occurred in 3 patients (0.2%). Once the eyes heal, patients often report their eyes feel more comfortable than prior to the procedure. Dr. Brian can discuss the risks of the WhiterEyes™ Conjunctivoplasty procedure for your particular case in more detail when you come in for your consultation. Side effects are uncommon and treatable in the rare case should they occur. How did I get these growths? How can I avoid Pingueculae from occurring? Are there treatments available to remove Pingueculae? What makes Dr. Brian’s procedure unique? How can I determine if I’m a candidate for WhiterEyes™ Conjunctivoplasty? Is it a problem that I live out-of-town? How will I feel after I receive the treatment? Pingueculae are growths that form on or within the clear membrane (conjunctiva) that covers the eye. 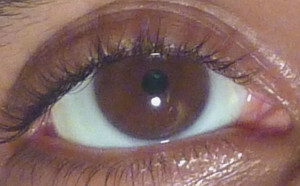 They are typically yellow or brown areas of thickening on the inner corner of the eyes over the white area of the eye. They are benign (non-cancerous) and do not pose a significant health concern, although if left untreated they can grow and are often associated with Dry Eye, Irritation, and Increased Redness. They can also lead to difficulty wearing your Contact Lenses. The worst part for most patients is the appearance of these growths cause their eyes to look unhealthy. Although you may feel normal the appearance of these growths decreases self-esteem. 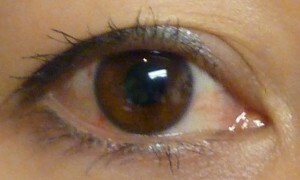 Patients report that the avoid social interactions, due to comments from others about the appearance of their eyes. They can be caused by lifetime of sun exposure and to other environmental factors like pollution, smoke, and dust. Prolonged exposure to sunlight without protection is considered one of the primary causes. Protecting the eyes with good quality 100% UV blocking sunglasses is one of the best ways to prevent Pingueculae. Once you notice these growths, protecting your eyes can help to slow the progression of the growths. It is suggested to not only wear sunglasses, but consider wearing a hat when outdoors for more than 20 minutes. Also, instilling artificial tears and keeping the eyes lubricating can help. Dr. Brian conducted a recent study and determined driver and passenger side windows of doors often do not have proper UV coating. He recommends having a clear UV film placed on the side windows of your car to reduce UV exposure while driving. Other studies have shown that skin cancer on the face and left-sided cataracts are more common because of UV exposure in the car while driving. Dr. Brian’s WhiterEyes™ Conjunctivoplasty procedure is extremely effective in removing these unpleasant growths. A multitude of patients have already experienced the positive effect of clear, whiter eyes in their lives thanks to WhiterEyes™ Conjunctivoplasty. This 20-minute procedure is 100% no-stitch out-patient procedure performed in the comfort of Dr. Brian’s procedure room at his office. No scary surgery center or hospital is required for this procedure. Usually you can resume work and your normal routine within 2-7 days. The results are typically fully seen 8 – 18 weeks after the procedure. Why is Dr. Brian’s procedure better than other doctors? Dr. Brian’s technique is more than just the removal of tissue growths. He also pays special detail to address and remove the excessive blood vessels and/or discoloration that are secondary to the growths. 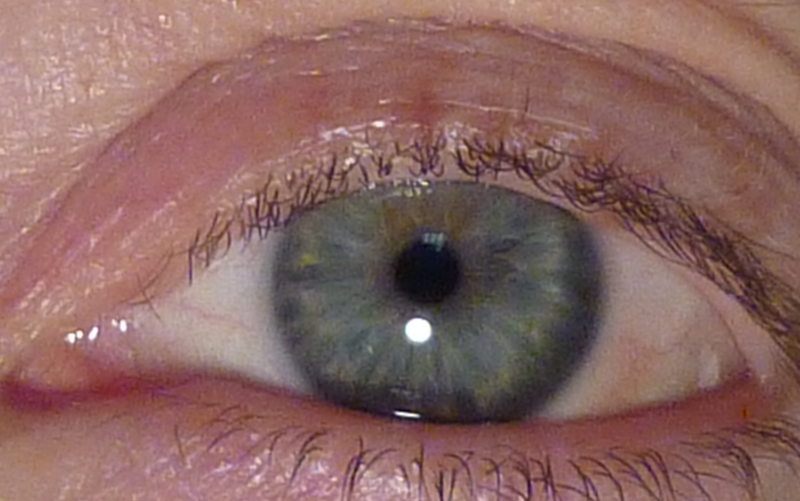 Most other doctors are not concerned with the cosmetic appearance of the eye beyond the growths. In addition, Dr. Brian is able to perform this procedure WITHOUT the need for sutures. This dramatically reduces the risk for visible scarring and irregular tissue growth. Dr. Brian is very meticulous and carefully addresses each layer of the tissue to provide the best cosmetic result. How do I know if I am a candidate for treatment? If you are local to the Beverly Hills/Los Angeles area, please call 310-594-5209 to schedule a thorough consultation. Dr. Brian will personally meet with you and review your options, providing you with an individualized treatment plan. Patients normally return to work and their normal activities within 2-7 days after the procedure. Some patients may note a scratchy or irritated feeling of the eyes for a few days, as well as some light sensitivity. A small number of patients may have some recurrence of blood vessels around the site that pinguecula growths were removed. It is possible the growths could begin to reappear, this is why we strongly suggest wearing sunglasses outdoors and while driving. More rare risks with the procedure are infection and scleral thinning, it is important you follow eye drop and follow-up exam recommendations to avoid these risks. We routinely reviewed records to evaluate for other risks. 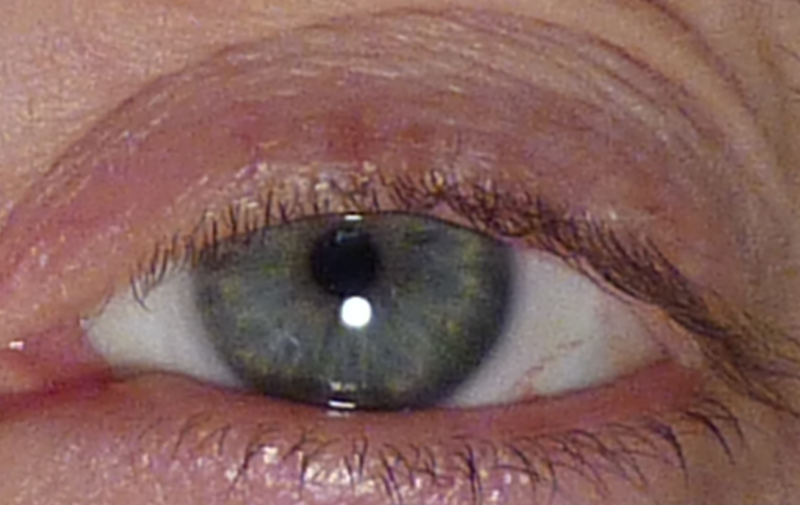 The most recent review looked at 1327 eyes that underwent WhiterEyes™ Conjunctivoplasty. This reviewed identified 3 patients that experienced light sensitivity beyond 6 months (0.2%). Pinguecula regrowth with Dr. Brian’s WhiterEyes™ Conjunctivoplasty procedure is very low at under 7% – this is a very low rate among all techniques for Pinguecula removal. At the time of your consultation with Dr. Brian, he will discuss the risks of the WhiterEyes™ Conjunctivoplasty procedure as well as any of your other questions during your consultation. It is strongly recommended to complete the postoperative eye drop regimen fully and to always use proper protection from sunlight (sunglasses and hats), in order to maximize the long-term effects of the WhiterEyes™ Conjunctivoplasty procedure. Another important step is instilling artificial eye drops whenever your eyes feel dry, or when you know they may be exposed to harsh environmental conditions (prolonged sun, wind, dust, etc.). *Final candidacy will be determined during an exam with Dr. Brian. Remember when you eyes looked healthy and refreshed. 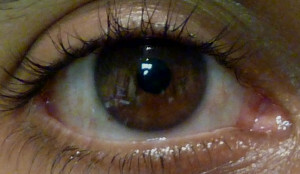 These pictures show normal, natural healthy eyes. We understand how bloodshot eyes and eyes with yellowish growths or brown pigmentation may keep you from looking healthy, alert and at your best. Most patients are amazed to learn this procedure only takes 20-25 minutes per eye. This can improve the appearance of eyes, your self-esteem… and your general outlook on life. In most cases, this procedure is performed by removing the thin membrane (conjunctiva) that covers the whites of the eyes and holds most of the unsightly red veins and yellow growths or brown pigment material. A new clearer membrane grows back in its place. Afterwards your eyes can become whiter and brighter. The most common added benefit is that people even feel their self-confidence has improved, noting they are now finally able to look people in the eyes again. Others often comment that patients undergoing WhiterEyes™ Conjunctivoplasty seem to appear more well-rested and refreshed. 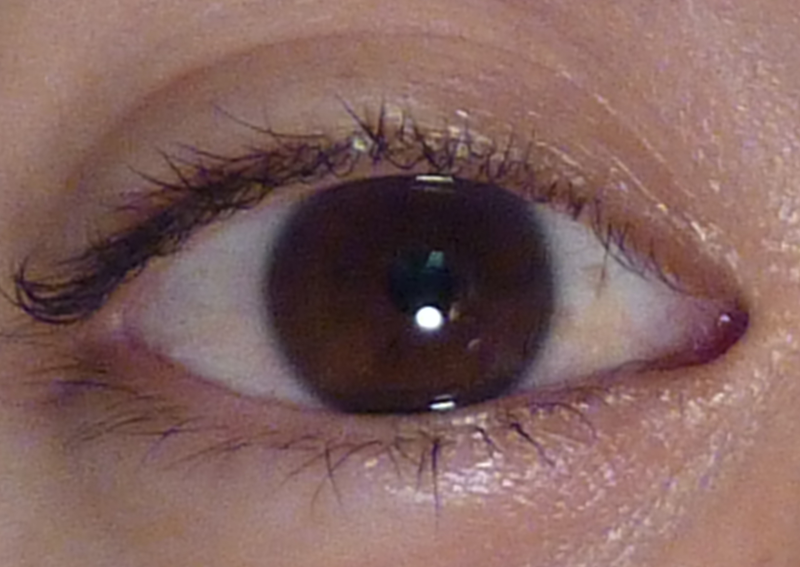 WHO IS HAVING WhiterEyes™ Conjunctivoplasty? WhiterEyes™ Conjunctivoplasty is not just a procedure for celebrities. Good people like yourself are having this procedure. 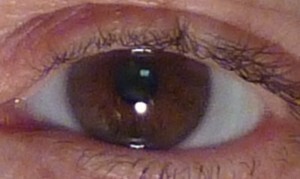 ANYONE who is tired looking at their bloodshot, yellow or brown-spotted eyes. People from all over the world, not just the United States are flying in weekly for an easy 3-day visit for Dr. Brian to help them. A brief list of patients who had WhiterEyes™ Conjunctivoplasty include: medical personnel (doctors, surgeons, nurses, pharmacists, psychologists), attorneys, para-legals, law enforcement, supermodels, actors, TV hosts, professional athletes, sales people, consultants, executives, office workers, financial planners, accountants, mothers, fathers, retired men and women, drivers, manual laborers, gardeners, etc. And the list goes on and on. Are you wondering, “Who is Dr. Brian?” Please Click Here to learn more about Dr. Brian. Take a moment, close your eyes and visualize your life with “whiter eyes.” How good would it feel to not have to rely on those “get-the-red-out” drops like you do now. It’s not just a dream anymore, this could be your new reality. Don’t Live in the Beverly Hills, Los Angeles Area? That’s Not A Problem. If you live outside of Southern California, that’s not a problem. Every week, patients fly in to meet with Dr. Brian from other parts of the United States, even from all over the world (as far away as United Kingdom, Australia and even China) for Nevus of Ota Treatment with WhiterEyes™ Conjunctivoplasty. Our friendly and helpful staff will make your visit to our office “easy and simple” with helpful suggestions on hotels, activities and transportation while you are in town. 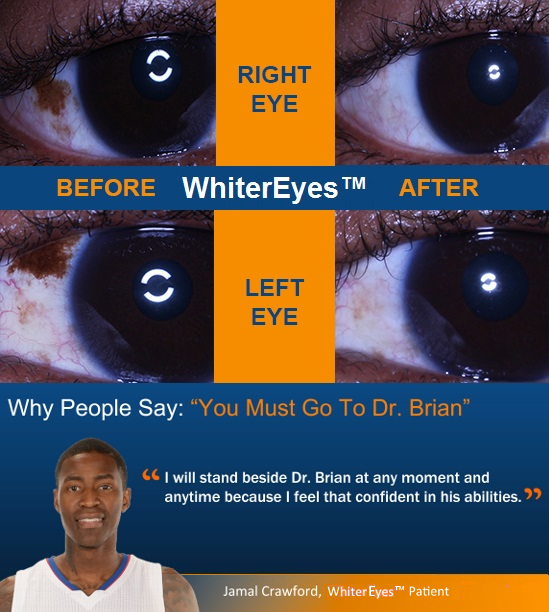 Based on these photos Dr. Brian will be able to provide a preliminary determination of candidacy for WhiterEyes™ Conjunctivoplasty and an estimated cost for YOUR procedure. After this preliminary approval, you can schedule a in-person consultation and treatment over an easy 3-day visit to our office in Beverly Hills, California. Please understand – photo review is a preliminary evaluation and the final treatment plan and final pricing will be confirmed with you during your in-office consultation with Dr. Brian. » You can also find out more about the easy and worry-free process, by simply calling (310) 594-5209 and speak to one of our friendly patient counselors. Why are waiting to find relief? Learn if you are a candidate for Nevus of Ota Treatment! WhiterEyes™ Conjunctivoplasty might be right for you, find out by e-mailing a close-up picture of your eyes to info@boxerwachler.com and request a “Free WhiterEyes™ Conjunctivoplasty Photo Review.” *Note: final determination for candidacy is be determined by Dr. Brian during your in-person examination (performed over an easy 3-day visit to Beverly Hills, California). Request the “must know” facts and “insider” information by requesting your copy of the WhiterEyes™ Conjunctivoplasty Consumer Report. 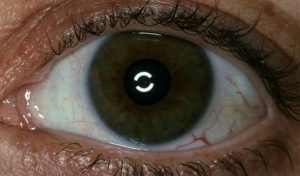 This report will show how Nevus of Ota Treatment will help reveal whiter and brighter eyes.